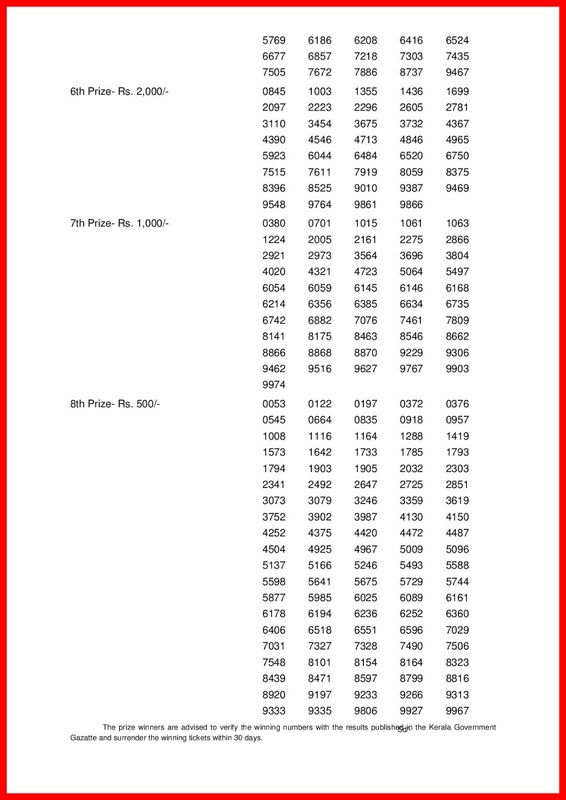 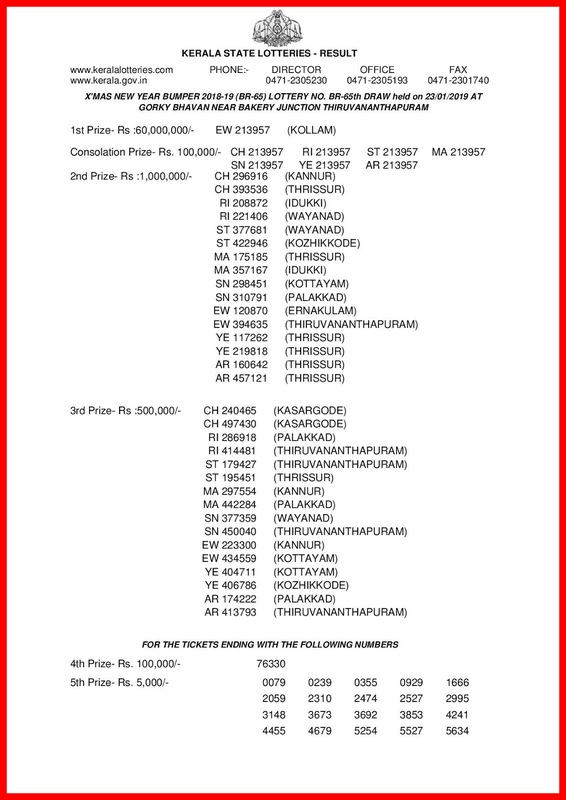 Kerala lottery result today is Christmas New Year Bumper lottery BR 65 result. 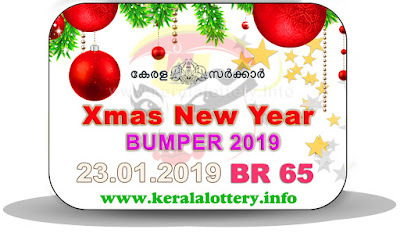 Kerala lottery X,mas New Year Bumper BR65 draw will be conducted on 23.01.2019 Wednesday at Gorki Bhavan, Trivandrum at 3 pm. 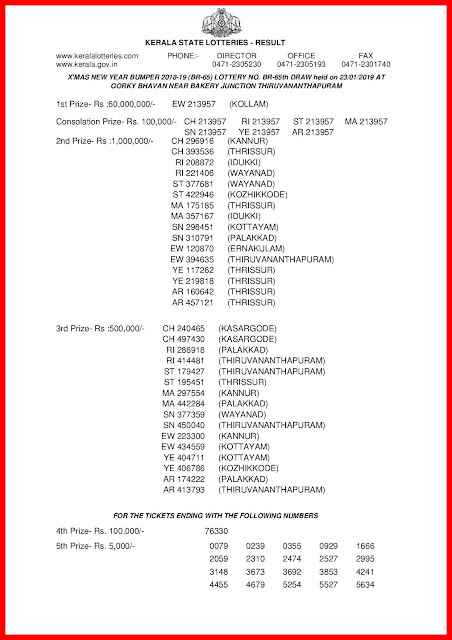 X,mas New Year Bumper lottery result draw is conducted on every Wednesdays by the Kerala lottery department. 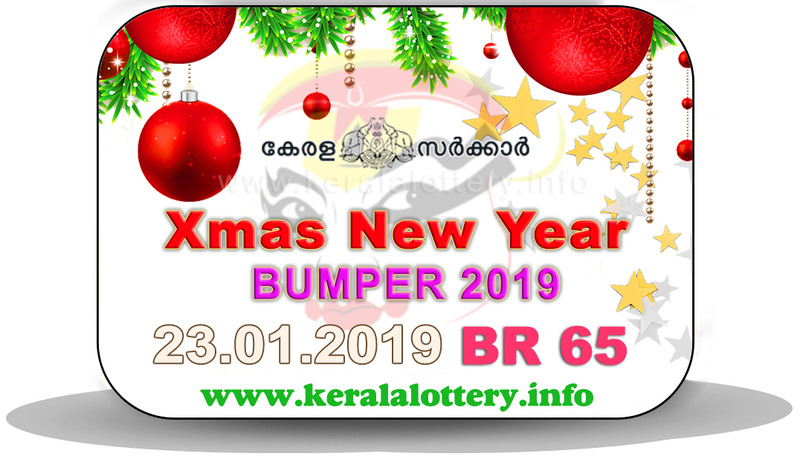 The result of Kerala lottery Christmas Bumper 2019 BR 65 will be published here as soon as possible.